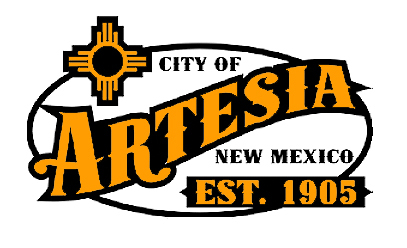 The Artesia City Council will hold a pair of public hearings and also discuss concerns raised by a local citizen over the potential closure of the Water Department drive-through lane at its regularly-scheduled meeting Tuesday. The public hearings regard consideration and approval of a request to vacate 40 feet of the 100-foot public right-of-way in the 600 block of West Chisum Avenue at the request of area residents, as well as consideration and approval of an ordinance amending penalty assessment misdemeanors. During the committee reports portion of the meeting, the council will also address recent concerns raised by an Artesia resident over the city’s plan to close the Water Department drive-through lane at City Hall between Texas Avenue and Sixth Street following the completion of the current renovation project on Texas. Several citizens have contacted the Daily Press in recent days to voice concerns over the potential closure, which would require residents to pay their water bills online, by mail, or by entering City Hall. Some residents say an inability to use the internet, the lack of a checking account or an unwillingness to send checks through the mail, and physical disabilities are all hardships that would be compounded by the closure of the lane, while others say they would simply miss the convenience and would prefer the lane remain. The council will also hear the annual request from the Artesia Fire Department to ban the use of personal fireworks and charcoal grills inside Jaycee Park during the Fourth of July celebration. The meeting will begin at 6 p.m. Tuesday in Council Chambers at City Hall.